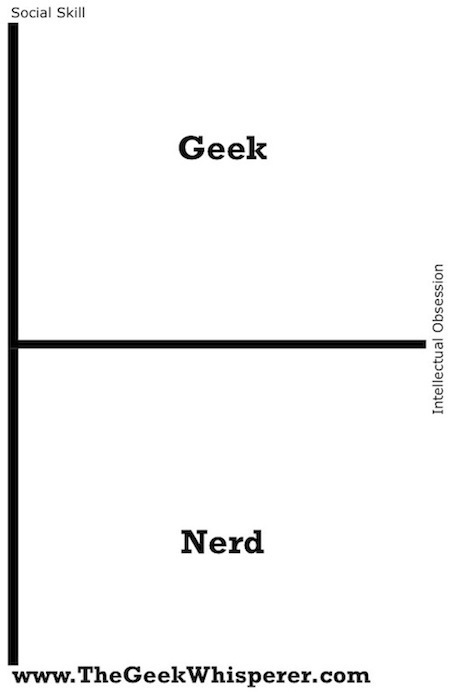 I have spent an embarrassing amount of time in search of definitions to distinguish between nerd and geek. 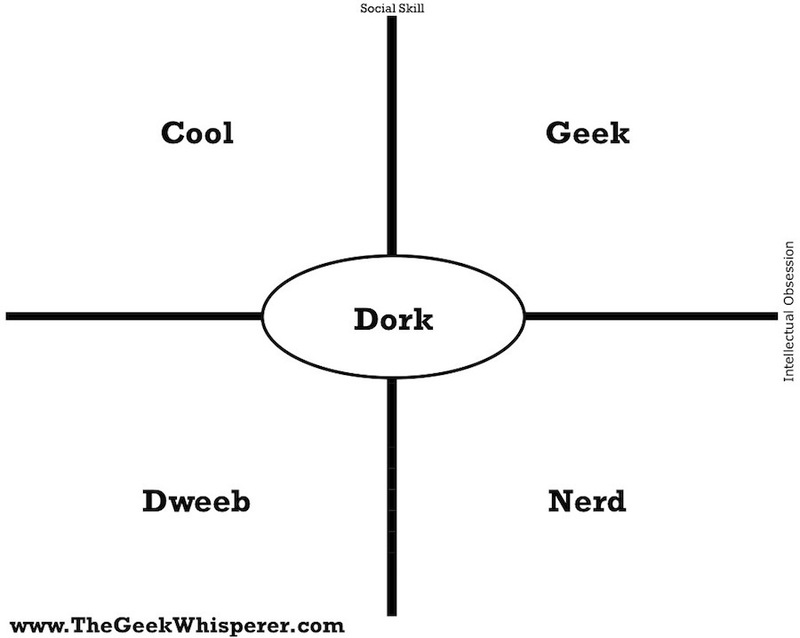 The first blog post I failed to complete was titled, “Geek vs. Nerd.” I just couldn’t define what I felt existed. Over the years I’ve seen many graphs, diagrams, and definitions that attempt to accomplish the mission, but I found them lacking. I couldn’t put my finger on what was needed, I just knew something was missing… until now. Typically one is viewed as good, the other bad. For example, I heard Chris Hardwick say that he viewed geek as negative, and nerd as positive, thus he named his website Nerdist. I, as I’m sure you have inferred saw geek as positive, and nerd as negative. One thing I can say for certain is that the only people who care about the difference are geeks and nerds. My first breakthrough came when I determined the standards by which to measure the extent to which an individual was a geek or a nerd. Intellectual Obsession – Any geek/ nerd has intellectual obsessions, it’s just a matter of what he/ she fixates on (technology, design, sports, writing, politics, economics, music, etc). Social Skill – The degree to which an individual can function socially. What’s on the other side of the Y-axis? This was my eureka moment. Who is unburdened by intellectual obsession, but has social skill? Who has neither intellectual obsession, nor social skill? Make no mistake. I am using “Cool” & “Dweeb” in the pejorative; I see both as lacking substance. I can’t think of any famous dweebs. When I think of dweebs I see basement dwellers working mall security, while in the middle of their fifth year working towards a two-year associates degree. 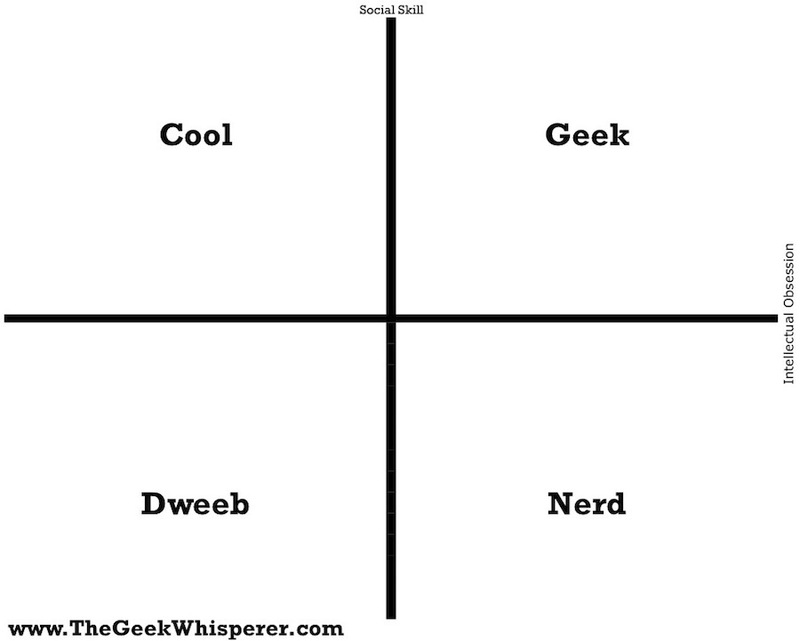 In the middle of the graph is “dork” territory, or people who do not fit strongly in any of the four quadrants. 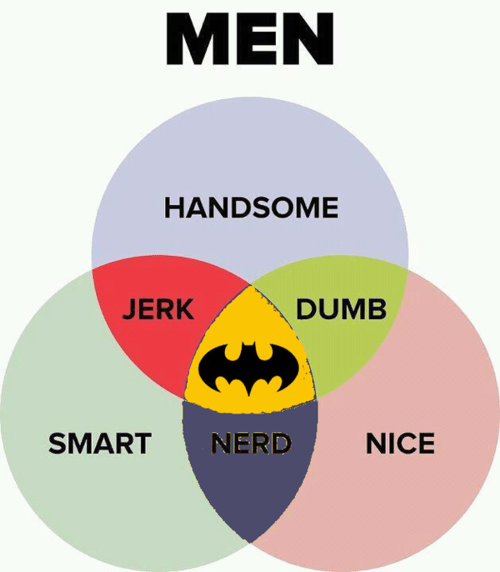 There are many kinds of nerds and geeks. There are people who are intellectually obsessed with technology, comics, sports, video games, politics, writing, coding, fish… the list is endless. This graph does not cast judgement on the practicality or marketability of one’s obsession. Griffindors are wise and admired. They are GEEKS. Perfect example: Fred and George Weasley. Ravenclaws are brilliant and are probs too busy being brainy to be socially up to snuff. They are NERDS. Perfect example: Luna Lovegood. Slytherins are charming and well-established in the wizarding world, despite missing a few mental (and moral) cogs. They are COOL. Example: Draco Malfoy. Hufflepuffs mean well, but there’s not an excess of brains or charisma… just the fact that they were put in the NICE house. They are DWEEBS. Good example: Ernie Macmillan. I have it on good authority that the Sorting Hat consults David Spira’s chart before sorting the first years. @Eliza – This is an awesome breakdown of the Potterverse.